Sooooooooooooooooooooo it’s Thursday…again….hi. I’m starting to feel like Jenna Marbles who committed to making YouTube videos every Wednesday but they don’t actually come out until Thursday. SPEAKING OF WHICH I haven’t watched that yet, one sec! OKAY I’m back! So I think this whole Mid-Week update will be an every Wednesday/Thursday kind of thing. You know? It’s not you, its me, I just can’t handle that kind of commitment right now. Maybe we can try again? I just need to be free, I can’t be tied down, you understand right? That’s so great to hear. I hope we can still be friends. I would also like to point out that IF you consider your week to start on Monday rather than Sunday, then Thursday IS the middl of the week. I hear by crown both Wednesday and Thursday Hump Day(s) depending on the vibe of the week and how you spend your time. All that being said, I now plan to start my update. Most of my updates for this week are album release notices with bonus tracks as previews, so even though there isn’t much detail it’s a content filled week! Hamilton duo Twin Within’s newest album “Horizontal Lines” will be released on July 10th 2015, but you can listen to their newest single “Bernie” here on Soundcloud which is featured on the album. Another track on the album “Tunnel to The Reservoir” has also been released exclusively as a Southern Souls session avalible for listening! On June 23rd the German band Eskimo Callboy released their third album in Canada titled “Crystals” and you can see their feature video for their title track below! Canadian band The Karpinka Brothers from Saskatoon, released a preview single for their news album”You Can Count On Me” which is to be released on September 4th! Their newest single “Tetherball” can now be listened to on Soundcloud which will set the tone for the rest of the album. They plan to start touring for the newest album at the end of the summer but as of right now there have been no Ontario dates set. (Fingers Crossed!) I’ll keep you all posted! 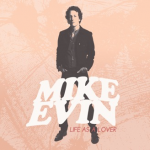 New album but not a new artist, Mike Evin will be releasing his newest album “Life As A Lover” on August 28th BUT has shared yet another single off of this album, Al Green on Exclaim! for our listen pleasures and in all honesty I love love love this song! He has previously released the first track of the album Have I ever Loved? and has also released a list of tour dates! The kick off of his Fall tour is in Kitchener (WEW KW AREA) on September 10th at Cafe Pyrus!! Okay so maybe there wasn’t as much content as I made it out to be BUT with summer time comes a lot of announcements of things to come rather than new released! BARE WITH ME PEOPLE! Unfortunately there will not be a Mid-Week Update next week as it is Canada Day and even weekly bloggers need a little tinny weenie break BUT that just means there will be even MORE content than a normal week! Like always, comment below, tweet us, message us, follow us, send us postcards or a lovely hand written note! No body writes note anymore, maybe that is why the world is so grumpy. Every time you check your mail box you either have bills or coupons, no notes! Although I do love coupons.